AdWords can be one of the most powerful ways to instantly gain access to thousands of hyper-targeted customers. But at the same time, if you don’t know what you’re doing, it can become a black hole that eats up your marketing budget and leaves you with nothing to show for it. 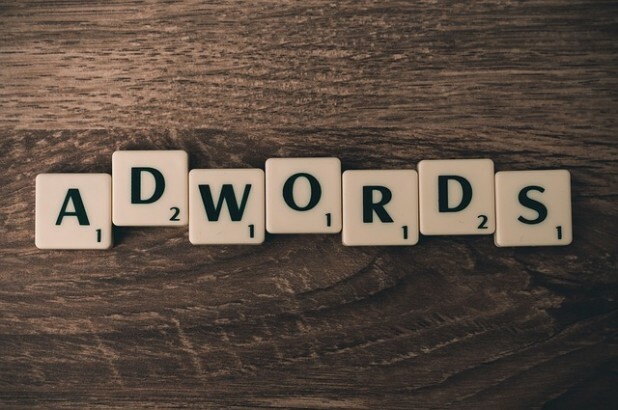 The competition for achieving success with AdWords is becoming more challenging each year, as more businesses become aware of its potential and users learn to resist poor attempts at engaging them. However, if you know how to implement an effective AdWords strategy, it won’t matter how many competitors are out there trying to do the same, and you’ll never have a shortage of fresh leads for your business. But how can you achieve success with AdWords? Well, most AdWords campaigns fail because businesses keep making the same mistakes over and over again. Avoid them, and you’ll be well on your way to separating yourself from the majority of AdWords users. Read on and learn about five of the most costly mistakes that businesses make when running AdWords that prevent them from achieving long-term success. Google AdWords offers its users a variety of ways for targeting keywords – most of them have a use in specific situations, but if you’re just starting out, chances are you’ll only need one keyword targeting type for your ads, called exact match keywords. Using this method, you will only target the exact keywords that you input, without any variations in word order or unrelated phrases that aren’t relevant to your offer. Many people starting with AdWords make the mistake of setting up their ads with broad match or phrase match keywords, and then the ads are shown to people who have no interest in what they have to offer. In the beginning, it’s natural to feel hesitant about spending money on each click. Therefore many businesses end up compensating by being extra pushy with their sales message, which often causes more harm than good. You see, although the obvious end goal of any campaign is to make a sale, sometimes the prospect, even if he’s a good fit and is interested in what you have to offer, just isn’t ready to buy immediately after clicking through to your site. That’s why, in some instances, you may need to opt to capture the lead into your funnel instead of trying to sell him outright. If you’re able to collect his email address, you can educate the lead on your product, showcase your expertise, and guide him toward making a buying decision. As you probably already know, AdWords can get quite expensive, so one of the worst mistakes you can make is not having a clear idea of how much each lead is worth to you. Now, this may be hard to boil down to an exact science if you don’t have an extensive list of previous customers, but you need to at least figure out an estimate of how much you can expect, on average, from each lead that you convert into a customer. Once you know a more specific number, you can then work out what conversion numbers you need to achieve at the average ad price to make the campaign profitable. You should also make sure to include the customer lifetime value into the equation as well – many companies are willing to lose money when acquiring their customers through AdWords because they know they’ll make up the money on the back end. AdWords can be expensive – you’re paying for every person that clicks to your site, and those clicks don’t come cheap, so you need to ensure that every part of your campaign is generating the best possible results. 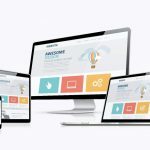 It’s likely that at least in the beginning, your ads won’t be very profitable, and the only way to change that is to continuously tweak the ads by testing different options and seeing which one works better. Almost all businesses that fail with AdWords don’t have good split testing practices and rely on intuition or their own judgment when making adjustments. However, the only way to gain an advantage over others and significantly reduce your cost per lead is to test everything out to find out for sure what works and what doesn’t. If you don’t know how to split test your ad campaigns, you can always consult a digital marketing agency which can guide you through the entire process. Finally, you need to remember that with AdWords, you will likely need some time to figure things out and start seeing great results. Until you’re able to test out a few approaches and see what’s working, you might end up losing money on all the leads that you acquire. That’s why you should be very cautious when setting your budget, at least at the start – until you have a proven winner that’s generating leads at an affordable cost, you should spend small amounts and run tests to try and improve the performance of your ads. Even professional and experienced AdWords management services providers don’t dive into a new campaign with large ad budgets because they know that each situation is unique and requires testing before any assumptions about the preferences of the audience can be made. Jonathan Henning is a co-founder of Trafik, a New Zealand based adwords management agency. His strategy-first approach has helped clients gain more visibility online and generate quality leads through customised website and online marketing solutions. He loves to write and meet people from the web design and development space discussing trends that help SMEs grow their online presence.